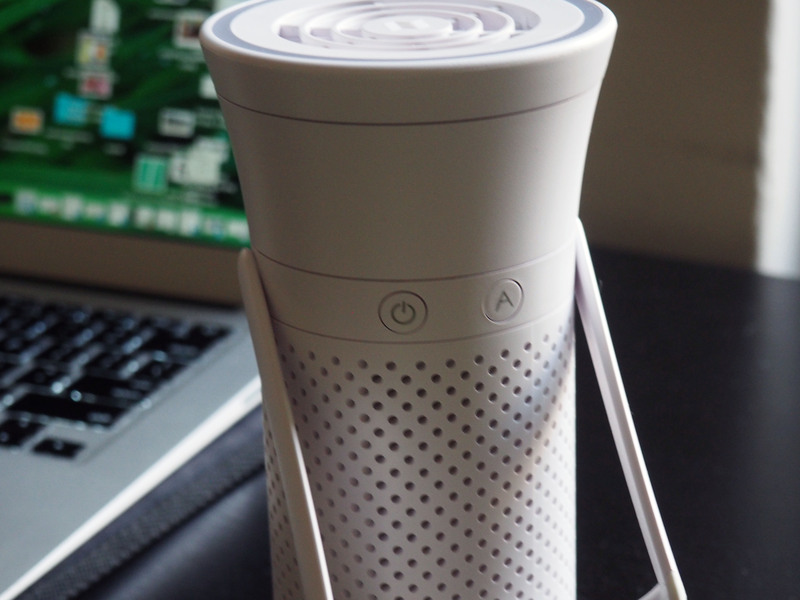 The Wynd smart air purifier is designed to create “bubbles” of fresh air — small, one-person respites from pollution, allergens and other detrimental particles floating in the ether. It feels almost dystopian, a world in which we’re required to arm ourselves against the air around us, but the product clearly struck a nerve, with more than 3,400 supporters backing the project to the tune of $604,792, late last year. What’s most compelling about the product is where it goes beyond a simple air purification offering. There are a million of those on the market already, and a single-serving, water-bottle-sized system can only do so much. 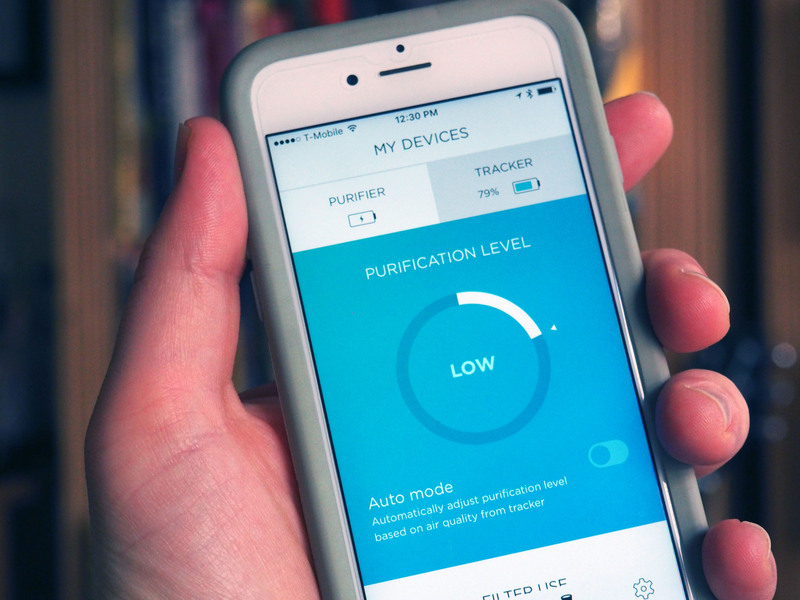 By connecting Wynd to a mobile device, however, the company is able to offer some interesting insights into the purifier itself, as well as the world around us from which it’s ultimately designed to protect us. It’s a pretty clever design, and the startup clearly put a lot of work into packing as much functionality into as small a form factor as possible. The resulting package is conical, with a top that flares out. This bit houses a front-facing fan inside a ring that lights up when power is turned on and adjusts color based on air quality readings. The system has an “Auto” setting, which changes the speed of the fan based on the surrounding air, or you can just change the airflow manually by twisting the top of the system. The majority of the rest of the filter’s surface area is covered in holes for air intake. The surrounding air passes through a small, circular cloth filter before being blown out the top, with around half of fine particles and 70 percent of larger, coarse particles removed, according to the company’s press materials. The back of the system can be twisted off and removed for easy access to the filter and the rechargeable battery that’s housed inside. It’s mostly a pretty nice bit of industrial design, though there are a couple of key spots where things fall short. The kickstand, which makes it possible to angle the air output toward your face, is a bit precarious and really only offers a single position. The USB-C charging slot, meanwhile, is positioned up front, which puts it in the way of the kickstand, should you want to plug the system in while in use. Really though, the biggest issue is the purifier’s size. The idea of a portable air filter is fine, but in real-world use, it’s ultimately not going to clean that much. Hence, the almost objectivist notion of “bubbles” — small pockets that don’t contain the harmful particulates of the air surrounding them. Really what that means is, in order to get the most use out of the thing, you’re going to have to point it directly at your face. As such, the applications are pretty limited with the hardware. You can stick it on your desk, for example, or on a bedside dresser. The company also uses the example of a stroller or car where it has more impact as an enclosed space. If you’re looking to fill up a full room, you can get a good system for under $200. I swear by this Winix PlasmaWave, for example. It’s $139 on Amazon right now — coincidentally the same price as the Wynd. It doesn’t connect to my smartphone, but I’ve woken up a lot fewer mornings with my eyes glued shut from allergies since I picked it up. Wynd has stepped up its game by tapping into two elements that are all the rage in consumer electronics these days: wearables and crowdsourced data mapping. Both of those pieces are accomplished by the square sensor that slots into the bottom of the device. When inside, it charges alongside the purifier, and when removed, it’s roughly the size of a pink eraser. There’s a button on the side that turns the sensor on, firing up a big light up top that changes color based on the quality of air it detects. Blue is good, and the closer you get to red, the more you ought to consider investing in a surgical mask to wear around in your daily life. On the bottom is a clip that attaches to an article of clothing or a backpack strap. However, here’s another place where the design leaves something to be desired — it actually fell off a few times as I was wearing it around the city. The purpose of the sensor is twofold. 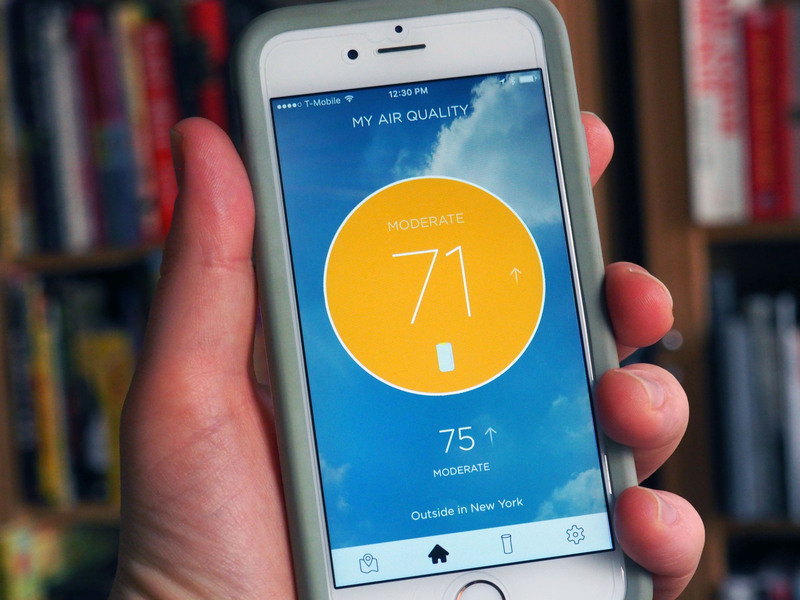 The first part is offering localized readings of air quality. I’m not really sure what to do with that information, beyond, perhaps, going out of my way to avoid certain areas, like, say, the subway stations, which turn the light an upsetting shade of deep red. The bigger picture should prove familiar to anyone who’s been following hardware startups over the last few years. The company intends to use the connected nodes to build a sort of real-time map of air quality conditions — something that could potentially prove useful in parts of the world where air quality is a real ongoing health concern. Though, in order for it to be a truly useful resource, it’s going to take a lot more connected nodes deployed out in the world. The app experience is useful and cleanly designed. It’ll let you know how much charge the device has and when it’s time to change the filter. The Air Bubbles section, meanwhile, maps out all of the sensor readings, offering insight into the air around you. At $139, Wynd is priced similarly to much larger air purifiers that service a lot more volume than what’s just blowing into your face. 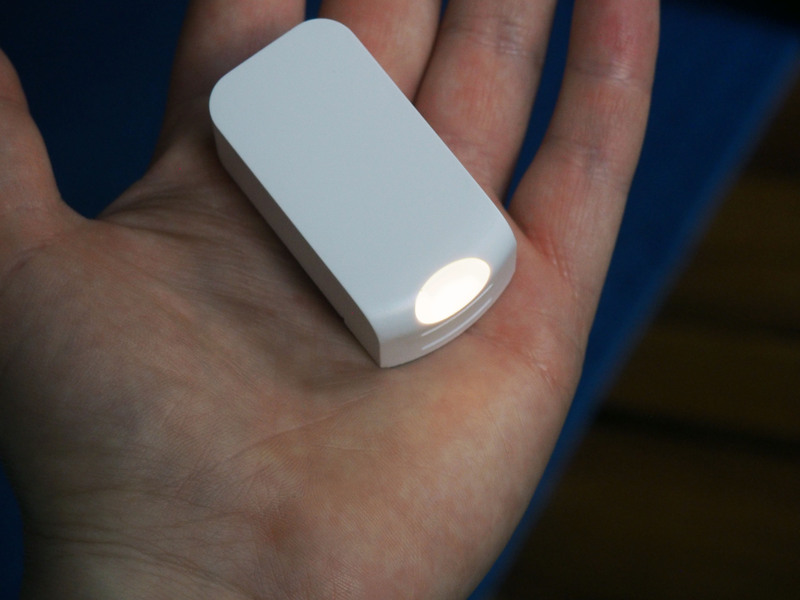 The sensor, on the other hand, is really the most compelling and useful feature, offering some insight into what’s going on in the world around you. But until Wynd creates an industrial-size purifier, what you’ll actually be doing about it will be a fair bit more difficult.